Step right up and prepare yourself to be amazed, dazzled and possibly disturbed! 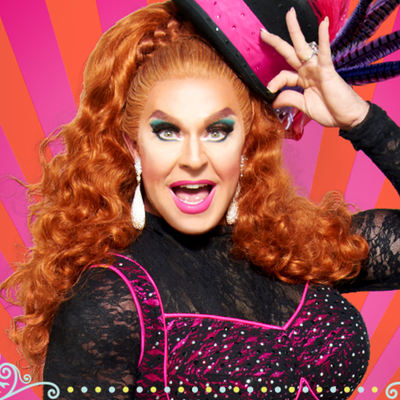 Drag superstar and erstwhile carny Varla Jean Merman is coming to town with three rings stuffed with fun…and all she needs is a big top! This circus-themed show is filled with jaw-dropping videos, awe-inspiring songs, and death-defying wigs. “The Freakiest Show on Earth,” Varla is guaranteed to lift spirits (and possibly your wallet) in this evening of high-flying fun.